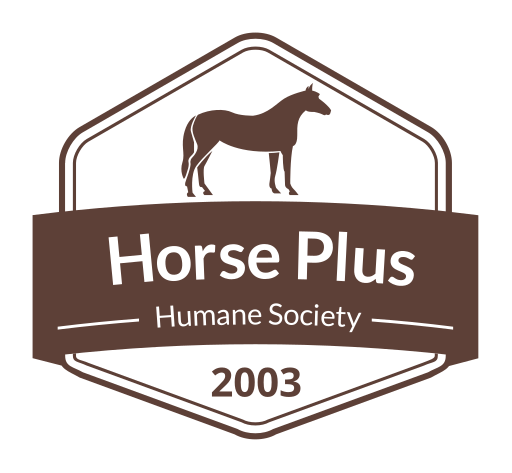 We Need Your Help To Save Horses! Please help us with the high cost of rescuing horses! Rescued horses need immediate medical attention, farrier care, special feeds, rehabilitation and sheltering before we are able to adopt them into their new loving homes. Will you help us change the life of a horse in need today? Save A Horse From Slaughter! Kill buyers attend auctions to purchase horses to be shipped to slaughter, auctions are the beginning of the slaughter pipeline for most horses. Near 100,000 horses are shipped out of the USA for slaughter a year. Kill buyers see horses as dollars on hooves, and the horses are purchased for their meat, regardless of age, training level, injuries, or service they have done for their old owners. Owners of horses who do not truly care about their horse's future, or have no other option, take their horses to livestock auctions, hoping and telling themselves that some nice person will buy them. This is often not the case. Please help us save horses from the slaughter pipeline, donate now. Your donation will be used to purchase horses directly out of the slaughter pipeline, evaluate them, give them the medical care they need, the Last Act of Kindness if necessary, training, rehabilitation, and help them find their new homes. It cost approximately $1,000 to rescue a horse from the auction, give them medical care, quarantine, training, and get them adopted into a new loving home.You can help save horses from the slaughter pipeline, without your help, we cannot save them - Please give now! Cruelty Case Rescues are by far the most expensive and financially draining for our organization. In rural Tennessee most law enforcement agencies do not have the financial ability to help with any cost involved in assisting in the rescue of neglected and abused horses. Without our organization helping them, their hands are often tied in cases because they have nowhere for the animals to go if they do seized them. Cruelty cases can be held up in the court systems for years as animal cases are not typically a high priority in the court system. In one case we cared for 9 horses for nearly three years before the court case was resolved, we are dedicated to the horses and making sure that they do get the proper care they need and we need your help to help them. Sometimes we aren't even able to give out much information about the horses we are holding because of the ongoing investigations and court cases. Our shelter typically has at any given time anywhere from 3 to 20 horses being held in animal cruelty cases. Donations are needed for their medical expenses and sheltering during this crucial time in their lives.